One Click Scheduling. Book A Hawaii Court Reporter Today. Discovery Litigation Services isn’t a landlocked court reporter firm. 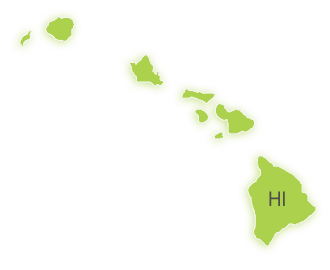 We have nationwide reach and transverse oceans to bring a certified Hawaii court reporter to your deposition. No deposition is too secluded for us to service. Our real time court reporters are ready at an instant, to bring you reliable verbatim transcriptions as the deposition transpires. If you’re ready to book your Hawaii Court Reporter, click here and upload your deposition notice. Let us handle the rest. With Discovery, you don’t have to settle for whoever’s on the island just because they’re available. Discovery Litigation Services brings you the best court reporter for your case regardless of your location. With a qualified real time Hawaii court reporter, you will receive instant real time transcripts translated at an accuracy level of over 90%. Our supreme attention to detail makes for a fast delivery of the official transcript dramatically reducing traditional wait times. The Discovery Litigation Services real time ready video streaming enabled court reporter is ready anywhere, anytime. No longer is your choice of court reporter hindered by geography or time constraints. Discovery Litigation Services can stream a certified court reporter to you at any time. The vast network of real time ready, streaming enabled court reporters means we always have a highly qualified court reporter ready for you. No longer do you need to coordinate everyone’s travel plans to get them into the same room for a deposition. If you have an internet connection, we can get you what you need. Utilizing up to date technology brings you flexibility and time saving solutions - not to mention savings on travel expenses. Discovery Litigation Services is committed to democratizing access to the highest quality legal/deposition solutions. Geography isn’t a reason to skimp on quality. Space and Time no longer places insurmountable obstacles between you and expertise. You may have found yourself once working with a company that was too big for its own good. What that means is, the size of the company - and the way it was managed - prevented it from providing you with the one on one personal care you deserve. Whether it was a grocery chain, car dealership, or another court reporting and deposition services company you’ve probably found yourself talking to a robot spewing boilerplate responses and shoehorning you into one-sized fits all solutions to your very individual and specific needs. We believe that the size of the company shouldn’t detract from the level of care placed on each and every client. Discovery Litigation Services works alongside you as part of your litigation team to make sure you get everything you need without over built bloated services. A growing Discovery only means more people opportunities to provide the same one-on-one care and attention we’ve provided since day one. Call Discovery Litigation Services and let us put our experience to work for you.